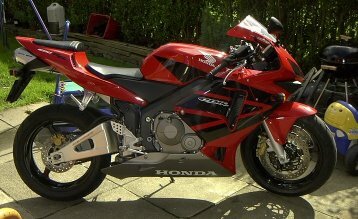 Honda CBR600 RR3. 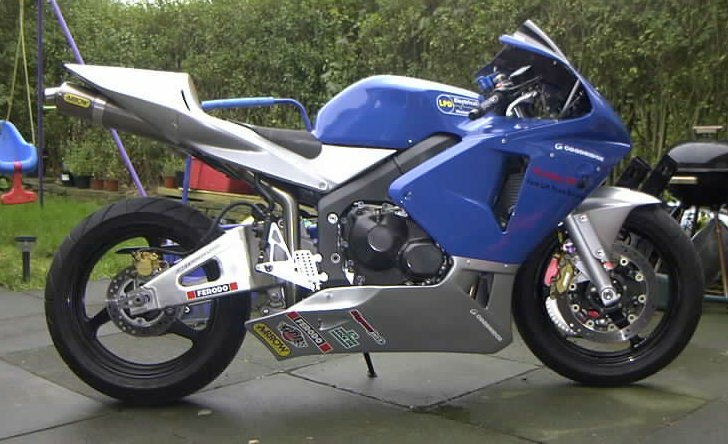 This is the bike I rode in the Supersport 600 Class in the 2005 season. 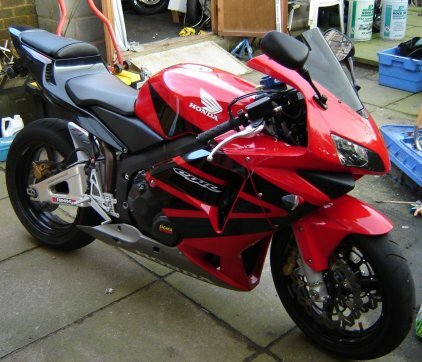 Now converted back to road spec, and what a spec for a road bike!!! Creations Carbon Fibre Engine Cases. Moto2 Alloy Oil Filler Cap. Probolt Engine Alloy Bolt Kit. Thousands spent on this bike. Email or phone for more pics and details. 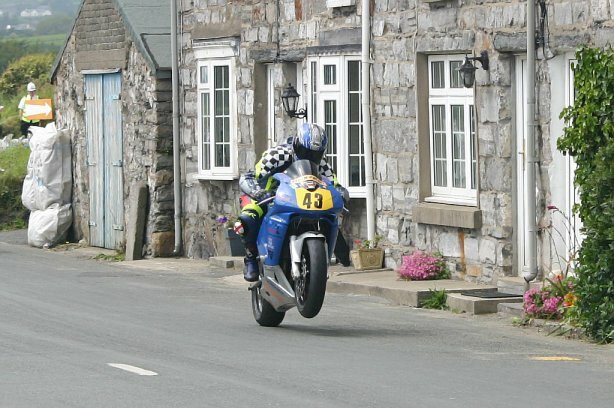 Thanks to Gert Mullen for this pic from 2005 Steam Packet Races. 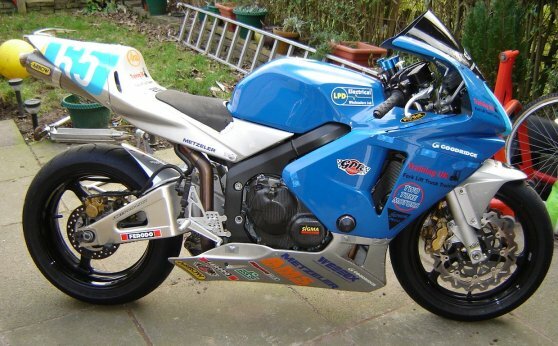 I raced this bike during the 2005 Road Race season, at Scarborough, S100 and Manx GP. 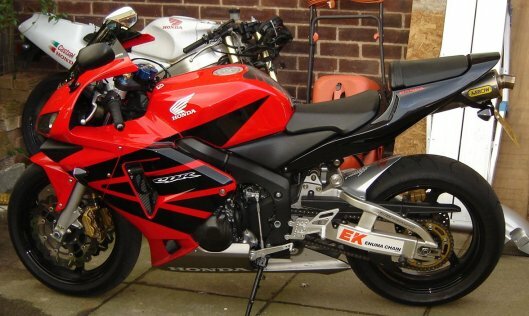 Now converted back to road spec.